Blood Vessel Cells Are Key to Growing Unlimited Amounts of Adult Stem Cells | "Latest Stem Cells News"
Howard Hughes Medical Institute (HHMI) scientists have discovered that endothelial cells, the building blocks of the vascular system, keep blood stem cells dividing healthily in a lab dish much longer and more effectively than previous methods of growing the cells. The new advance dramatically improves scientists’ ability to manufacture large quantities of authentic adult blood stem cells, which may help revolutionize the field of bone marrow transplantation. Shahin Rafii, an HHMI investigator at Weill Cornell Medical College in New York City, and his colleagues report on the development of an endothelial cell platform that supports self-renewal of the blood stem cells, known as long-term hematopoietic stem cells (LT-HSCs), in the March 2010 issue of the journal Cell Stem Cell. Their study also describes a novel mechanism by which endothelial cells support propagation of LT-HSCs in adult mice. There are few naturally occurring stem cells in adult organs, so using them for organ regeneration is impractical. 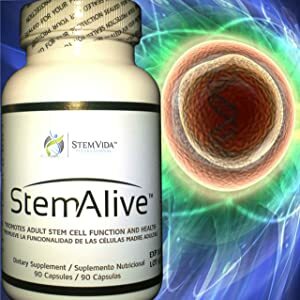 Adult stem cellsgrowth factors can be grown in the laboratory, but until now, strategies to expand these cultures, which invariably used animal-based , serum, and genetically manipulated feeder cells, have not sustained the stem cells’ ability to self-renew for more than a few days. 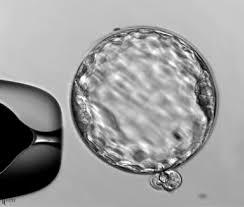 The new study employs endothelial cells, to propagate stem cells in the laboratory without added growth factors or serum. In the body, these endothelial cells establish a “vascular niche” that is essential for regenerating blood stem cells in the adult bone marrow. The endothelial cell platform developed by Rafii’s team supports adult blood stem cell self-renewal for more than 21 days, with true stem cells expanding by hundreds-fold within those three weeks. Such prolific expansion may help scientists grow functional blood stem cells abundantly for biologic research, and therapeutic bone marrow transplantation. Rafii expects his team’s approach will help in growing other types of organ-specific or cancer stem cells, as well. The research, spearheaded by Jason Butler, an investigator in Rafii’s lab, began with inserting a gene called E4ORF1 from an adenovirus into the endothelial cells to enhance their survival. This permits these metabolically demanding endothelial cells to propagate on command without the growth factors they usually need. This is an advantage when the endothelial cells are grown with stem cells, since adding growth factors and serum to the mix can bias stem cell behavior and inhibit their expansion. Using E4ORF1 overcomes concerns about introducing cancer-promoting genes into the endothelial cells – an earlier strategy for eliminating the need for growth factors in the culture medium. Next, the researchers isolated blood stem cells from mice, and grew them in the same dish as the engineered endothelial cells, without adding growth factors or serum. This resulted in massive expansion of hematopoietic cells, Butler said. The research team next looked at how well the newly generated stem cells functioned by transplanting them into mice that could no longer produce blood cells due to radiation treatment. The transplanted cells gave rise to blood cells of all types for more than a year, suggesting that the expanded cells were indeed bona fide stem cells, Butler says. Rafii adds that although there was some concern that forced expansion of the stem cells might induce cancerous mutations, when the expanded stem cells were transplanted back into mice, there was no indication of tumor formation, even after a year. Thus, he says, endothelial cells provide a safe milieu that proliferates stem cells without creating cancer risk. Prior to this study, it was speculated that bone-forming cells called osteoblasts were the main feeder cells in the bone marrow that sustained stem cells. But using molecular imaging, the team showed that blood stem cells are in intimate contact with the marrow’s endothelial cells that express Notch-ligands. “This finding indicates that endothelial cells could directly, independent of osteoblasts, stimulate expansion of stem cells,” stated Butler. The findings offer therapeutic potential. For instance, stem cells grown in the new system could be used for bone marrow transplants that might allow lifetime repopulation of needed blood cells. The newly developed research platform might also be useful for generating and studying other types of adult stem cells, Rafii says, noting that previous research has shown that other organ-specific stem cells typically reside near endothelial cells. Rafii notes that the new vascular-based approach might also help researchers generate large quantities of cancer stem cells for research purposes. With a sufficient supply of these stem cells, which many scientists believe drive tumor growth, screens of potential therapies could be scaled up so researchers can test large libraries of chemicals to see which ones might help overcome the disease. A physician-scientist, Shahin Rafii is motivated by his cancer patients to explore new therapeutic frontiers—and so far, he’s charting promising new territory. The innovative work in his lab suggests entirely new approaches to treating leukemia and lymphoma, and may soon enable higher, more effective doses of chemotherapy that do not induce severe toxicity. He has also paved the way for cellular stem cell therapy for vascular insufficiencies, such as stroke and heart attack. Rafii introduced the concept that both tumors and regenerating organs rely on stem cells from the bone marrow to help build new blood vessels. By deciphering the molecular pathways that orchestrate recruitment, differentiation, and patterning of these vessels, he hopes to exploit those pathways for multiple clinical applications. Both tumor cells and injured tissue—such as that at the site of a heart attack, stroke, or organ transplant—recruit stem cells hibernating in the bone marrow as the source of their new blood vessels. By the time the stem cells arrive, they have begun to differentiate into two types of cells: a specialized white blood cell and the maturing endothelial progenitor cell, which work together to create the lining of the new vessels that fuel the growth of tumors or new or regenerating tissue. Similarly, he has shown that molecular and cellular collaboration between vascular and organ-specific stem cells is essential for the generation of functional tissue, such as bone marrow, heart, and muscle tissues. Rafii has discovered specific types of mobilizing factors that wake up the stem cells in bone marrow and move them to vascular niches, where new blood vessels are formed, dramatically speeding up restoration of the blood cells destroyed by chemotherapy or radiation. The same factors may increase the supply of stem cells that rush in to repair or regenerate tissue. Rafii has demonstrated that interfering with the migration of stem cells from the bone marrow can halt tumor growth. He and colleagues have also harnessed the selective homing mechanism of stem cells to deliver toxic payloads to the “tumor vascular niches” by loading the stem cells with cancer-killing agents. Scientists once believed that a new class of experimental cancer drugs targeting the molecules needed for blood vessel growth, or angiogenesis, would only be useful in halting solid tumors by depriving them of oxygen and nutrients. But Rafii has found that angiogenic endothelial cells are also crucial to promote the growth of hematological malignancies, including myelomas, leukemias, and lymphomas, as they release growth factors that fuel proliferation and invasion. Now, clinical trials are under way to test antiangiogenic agents to treat hematological malignancies. Dr. Rafii is also Arthur Belfer Professor of Genetic Medicine and Director of the Ansary Stem Cell Center for Regenerative Medicine at Weill Medical College of Cornell University.